Content by Tony Macklin. Originally published on August 24, 2013 @ tonymacklin.net. 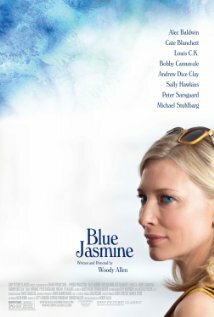 In Blue Jasmine we go with Jasmine (Cate Blanchett) on a bumpy, desperate journey, trying to escape her own life. She tries not only to escape the past, but also the present. It all has the fragrance of sharp, sweet, and bitter illusion. Woody Allen's latest venture could be subtitled A Streetcar Named Deceit. Its constant is deception. It's difficult to find a character with whom to relate with positively for more than a scene. Every character is a "loser" - no matter what their level of society or achievement - but some get second chances. And though, they may not seize them, some settle. Jasmine - who changed her name from Jeanette - can not settle. She's lived with deception for so long, she can only continue to deceive. She deceives herself even more than she deceives others. She lives one lie based on another. She can't settle for a second chance. She can't go back because she never knows who she was. Her identity was always created to fit the moment. She has no identity to which to return. It was always a mask. Mask upon mask. Events have torn the mask off, leaving a raw face and vulnerable soul. Her husband Hal (Alec Baldwin) was incarcerated for bilking investors. Jasmine's world came crashing asunder. She's trying to survive on vodka and pills. She flies to San Francisco from New York where she once lived on Park Avenue. She was forced to move and then was unable to pay her rent. She goes to live with her sister Ginger (Sally Hawkins), a clerk in a market. They're complete opposites. Her sister lives with her two children in an apartment. She is divorced from her former husband Augie (Andrew Dice Clay), and now has a relationship with car mechanic (Bobby Cannavale), whom Jasmine constantly insults. Jasmine awkwardly pursues schooling, a job, and a new boy friend (Peter Sarsgaard). But you can't escape your own grotesque shadow. It envelops her. 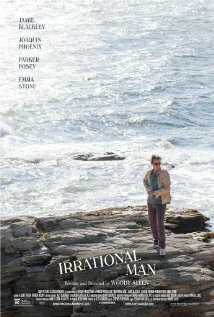 Director/writer Woody Allen still has vitality, creativity, and the man can write. Clint Eastwood has been done in recently by very mundane screenplays, but Woody's words still dart and occasionally sting. What separates Woody from so many directors today is the humanity in his movies. Woody still has satire, irony, and fatalism, but they're cloaked in humanism. The music in Blue Jasmine is wonderful - jazz and blues throb throughout the film. When we hear a strong trumpet during the opening credits, we know we're in a good place. Louis Armstrong and King Oliver provide jazz, and Trixie Smith and Lizzie Miles provide blues. 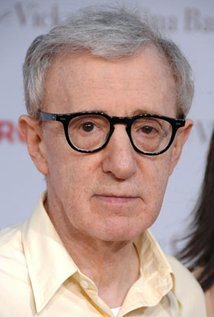 Woody doesn't rely on easy self-aggrandizing jokes as he once did - he's more interested in human nature under duress. I doubt if most people could guess whether Blue Jasmine was directed by a 37-year old or a 77-year old. Maybe they also couldn't guess whether it was directed by a male or female.Blue Jasmine was directed by a perceptive human being -- one who loves music and language. Woody's cast lifts his language. Cate Blanchett is extraordinary as the quixotically-doomed Jasmine. Her character is raw, conceited, and pathetic, and Blanchett breathes panicked life into her. Blanchett has to be a favorite for an Oscar. Vivien Leigh won one for her performance in A Streetcar Named Desire (1951). Gena Rowlands deserved an Oscar for A Woman under the Influence (1974). 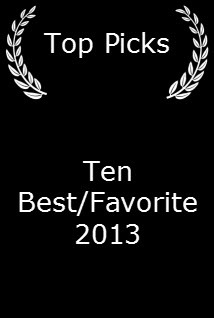 She received a nomination but Ellen Burstyn won for Alice Doesn't Live Here Anymore. Cate Blanchett equals their caliber. Alec Baldwin has slickness down pat as Hal. Sally Hawkins gives spirit to the role of the downtrodden but game sister. Perhaps the biggest surprise is Andrew Dice Clay as Ginger's ex. Take away his comedy shtik, and what do you have? A solid character actor. Peter Sarsgaard, Louis C.K., and Bobby Cannavale add personality as men in the sisters' lives. In Blue Jasmine, Jasmine doesn't prevail. But jazz, and blues, and Woody do.